What topics can I talk about on a Cruise ship? To get a free cruise for two, you’ll need to work. Can you write a term paper on a subject and pass an oral exam? Not deep – but so your grandmother can understand it. Lotsa images – not bullets. Here’s a tip – how about self-driving cars! You need 4 talks. 1. You can research the auto invention – NOT Henry Ford – he applied the assembly line. It was Karl Benz of Mercedes-Benz fame. 1886. Interesting, huh? 2. Then talk about improvements – power steering, automatic transmissions, radios. 3. Then how about the cars of today and the new safety features. 4. Your climax could be the future of cars – DRIVERLESS. Oh yeah, now you’re going. See, it’s not hard to come up with Infotainment. Hey, I might even do one on that. It will take you time. But they are not giving freebies out to homeless folks. Plan on 2 FULL days of research and creation – get to be an expert. Wikipedia is good, as are Giggle (er, Google), YouTube clips (funny ones from the early days, car crashes, dummy testing, documentaries, etc). Then hone in on the real efforts by Google, Toyota, Apple, Ford, etc. How about legal concerns? Stanford has a dedicated lab. Heck, we are headquartered near all this and could help. 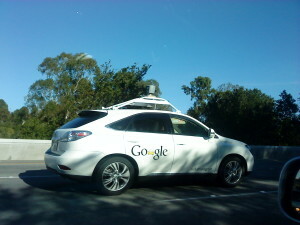 Check what we see putzing around in Silicon Valley. Google self – driving car. So there you have it. A freebie from SpeakOnCruises. We’re pretty good at helping clients with stuff like this. The agencies are looking for hot topics. What say ye? Contact us to get the pedal to the metal!” . . . so to speak.